Providence Resources has struck a deal to drill an offshore well to the island’s south-west. AN IRISH EXPLORATION company has struck a deal to drill off the coast of Ireland in the hope of making a major oil find. Dublin-based Providence Resources announced this morning that has signed a contract with marine transport company Stena International that will provide the Irish firm with a deepwater rig. Providence said that the plan is to start drilling the well, located in the southern Porcupine Basin about 220km off the south-west coast of Ireland, in June 2017. It added that these plans are “subject to regulatory approvals and consents”. The location that the company is set to drill in contains licences for two of its projects named ‘Druid’ and ‘Drombeg’. Providence estimates that there could be as much as 3.2 billion barrels of oil at its Druid location. However, this is an ‘un-risked’ estimate of prospective resources – these estimates do not factor in the chance of drilling a successful well. As oil wells generally have low success rates, particularly in Ireland, the risked value would likely be a fair bit lower. The estimate also refers to prospective resources. This refers to all the oil that an oil company’s research shows should exist at a location. This differs from reserves, which covers oil that is confirmed to exist and can be recovered at a reasonable cost. Prospective resource oil estimates are often much higher than proven reserves. Even with these caveats though, the amount of oil at the Druid well could be very large if drilling is successful. Providence said that its drilling contract provides “for one firm well, plus an additional option for the drilling of a second follow-on well”. Providence has an 80% stake in the project and is leading exploration on the well. The company estimated in August that the Druid exploration well could cost $35 million, with the company today saying the operational rig rate will be $185,000 (€175,206) per day. This is actually relatively cheap for drilling a well, particularly in deep water off the Irish coast, where costs could often be close to double that amount. Drilling is cheaper at the moment due to low oil prices. If the project goes ahead as planned, it would be one of the first drills for oil by an Irish company in Irish waters since oil prices crashed about two years ago. Providence Resources CEO Tony O’Reilly said that the company is “delighted” to have signed the rig contract with Stena. “Our previous exploration collaboration project highlighted the significant hydrocarbon potential of (the drilling location) which we will now be evaluating using the drill-ship,” he said. 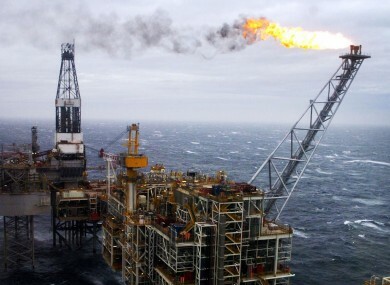 Email “Dublin firm hopes to strike it rich with rare multimillion oil project off Irish coast”. Feedback on “Dublin firm hopes to strike it rich with rare multimillion oil project off Irish coast”.